Her strength stunned doctors and family. 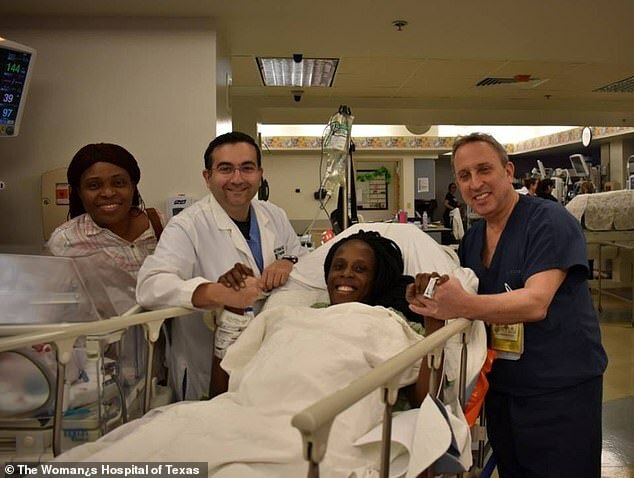 A Houston woman has beaten some incredible odds and given birth to sextuplets. Identified as Thelma Chiaka, she's getting some much needed rest after delivering six babies in the span of nine minutes. Chiaka gave birth to two sets of twin boys and one set of twin girls on Sunday morning. 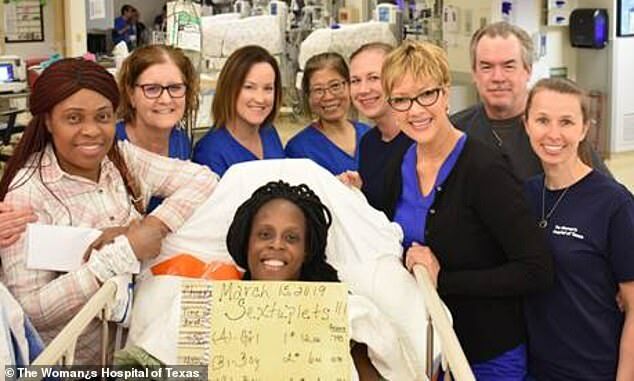 All the deliveries occurred between 4.50am and 4.59am at the Woman's Hospital of Texas. The six babies weighed between 1 pound 12 ounces to 2 pounds and 14 ounces. The hospital said the sextuplets are in stable condition and will continue to receive care in the hospital's advanced neonatal intensive care unit. Chiaka has named her daughters Zina and Zuriel. She has not yet named the four boys. The odds of giving birth to sextuplets is an astounding 1 in 4.7 billion. Daily Mail reports that it would be more likely to get struck by lighting twice (1 in 9 million) or even win the lottery (1 in 302 million). Chiaka's pregnancy is certainly rare but she does not hold the record for most children born at a time. Nadya Suleman, better known as 'Octomom,' became world famous when she gave birth to eight babies in January 2009, aged 33. She is the only woman to have given birth to a set of octuplets to live past their first week.